We are a community of faith. We share a vision of God: a God whose spirit is love, accessible to all yet beyond our knowing, the source of all being, the way leading to wholeness, the spirit which pervades everything. We search for the meaning of God and our own experience revealed in those sacred stories which have been passed down to us. We tell them again and again: Of God the Creator, the Almighty, who made everything that is, and saw that it was good. Of Jesus of Nazareth, who in history lived among us, healed the afflicted, taught, suffered and died. Jesus forgave those who crucified him. In the mystery of the resurrection Jesus continues to live more profoundly through the ages, the Incarnation of Love, the Christ, to whom his disciples have responded “My Lord and my God!” Christ shows us the Way, which leads to the reconciliation of all things, saying: “Whatever you do for the least of these, you do for me.” It is the Way of love, compassion, justice, forgiveness and peace. Of the Spirit, the Breath, the Wind of God, the Giver of Life, the Holy Wisdom, who inspires the people of God to cry out for justice for the powerless and oppressed, to see the presence of God in every created thing, and to respond with love. Of the communion of saints: all the people of God, living, dead and yet to be born, who are empowered to recognize that they are, and always have been, brothers and sisters, one family in God. We are reborn in the Spirit, followers of that Way shown by Jesus: to love God with our whole being; to love our neighbors as ourselves; to treat others as we would have them treat us; to strive for justice and peace; to have respect and compassion for every person and for the whole of creation; to forgive those who do us harm; to love one another as Christ has loved us. We journey together on this Way towards reconciliation with the whole creation. We break bread together and pray together. We reach out to one another for strength beyond our own. This is our community. This is our faith. Respecting divine mystery beyond our human knowing revealed but not contained in the stories of our faith we strive to walk humbly with God. Celebrating the fullness of Jesus’ witness flowing from the baptismal waters at the river Jordan and the stories of bread broken and shared, we confess the God made known in the one we call Christ. Believing Jesus about God and trusting his example, we accept the cost and joy of following Christ; welcoming the unwelcome-able, speaking the unspeakable, touching the untouchable, and suffering the insufferable. Honouring the Spirit revealed in the scriptures, we live the questions of our faith, open to the continuing revelation of our still speaking God. Discerning strength in vulnerability, we acknowledge our interdependence and mutual accountability with all of creation. Claiming God’s grace abundant in our common life, we covenant together to cherish inquiry, embrace diversity, and honor vulnerability. We believe in God, who made the world, loves it and smiles upon it. We believe in Jesus Christ who has shown us the human face of God, and a love that refused to be limited, who calls us to a life that even death cannot end. We believe in the Holy Spirit through whom God reaches us, surprising, prompting and questioning us; who is the life-breath of creation, and the source of nurture, humour & hope. We believe in ourselves, as people made in the likeness of God, capable of great creativity and great destruction but called to choose between them. We believe in salvation through Christ; salvation from all that would degrade or destroy; salvation won when Christ, having succumbed to the powers of death, burst free again, forever ensuring that tragedy could not entomb love and hope. We believe that Christ leads us now, calling us to a life that is absurd by the standards of the world; calling us to resist evil and to create and protect love, justice, freedom and peace. 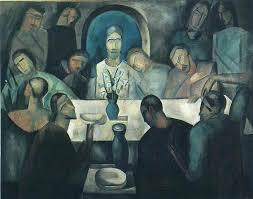 We believe in God’s mysterious presence; with us in church and home, with us in bread and wine and water, with us in hugs and handshakes; yet always beyond our comprehension and appearing foolish to the world. And we believe that the foolishness of God is wiser than the wisdom of the world: and we rejoice that God has made it so. Amen. We believe it is a matter of faith to stand up for those who cannot stand up for themselves. We believe it is a matter of faith to recognize equally and love all members of God’s human family whatever their race, creed, color, gender, sexual orientation, marital status, physical or mental capacity. We believe God’s creation is good, beautiful, sacred and therefore to condemn any portion of God’s creation is to condemn a portion of God. This is sin. We believe Jesus Christ came to us to free all people from sin and to make disciples–people willing to live Christ’s discipline of love and justice for all. We believe the Holy Spirit is that power within us that gives us courage and stamina to face the truth and to live it, even to die for it, as Jesus died. We believe in the resurrection, the victory over death, the truth that is life for all in Jesus’ name. Glory be to God, the One in Three: Creator, Saviour, and Holy Power of Love. Amen. We believe in God, the Creator, who moved upon the face of the deep at the beginning of creation, who created all that is, and who spoke through the prophets of old. We believe in Jesus Christ, into whom God’s Spirit was poured in fullness and in power, that the whole creation might be restored and unified; and who promised that the Spirit would come and fill the faithful with power to witness to the mighty love of God. We wait on that Spirit today with longing hearts, seeking to be empowered to witness to God’s love and hope. Glory be to God — Creator, Christ, and Spirit, One–now and always. Amen. Every Sunday I stand at the altar and preside over a mystery. A mystery that has its roots in the events we remember this Holy Thursday. On Maundy Thursday, we gather together to contemplate MYSTERY. We know what will happen tomorrow as Good Friday plunges us into darkness. So is it any wonder that we cannot fully comprehend this MYSTERY. The various gospel writers have created a record of Jesus’ last evening that is filled with bittersweet images. Our mystery begins with the foreshadowing of what is to come as we hear the name Judas Iscariot. Judas, son of Simon, is perhaps the most trusted of Jesus’ disciples, after all Judas is the one who is trusted with the financial resources of this struggling little group. Even though we know Judas’ role in this unfolding mystery, we must remember that Judas is among those who Jesus loved to the end. But long before the silver changes hands, we already know enough to dread the betrayal. Our mystery continues with the tender intimacy of a teacher washing the dirty feet of his beloved bumbling students, as Jesus breaks the bonds of decorum to demonstrate the fierce tenderness of loving service. The image of Jesus washing the feet of his followers still seems undignified all these centuries later. So, is it any wonder that the intimacy of Jesus’ tenderness is more than Simon Peter can bear? In order to get beyond their inhibitions, Jesus must spell it out for them. “Do you know what I have done to you? You call me Teacher and Sovereign —and you are right, for that is what I AM. So, if I, your Sovereign and Teacher, have washed your feet, you also ought to wash one another’s feet. For I have set you and example.” Jesus has washed their feet; all their feet, even Judas and the talk of betrayal continues as Jesus returns to the meal.